Ten years ago the European Space Agency launched Rosetta, a first-of-its-kind spacecraft on a mission to meet a comet. It finally accomplished that goal in August — when Rosetta rendezvoused with the comet and began orbiting around it. But it’s not done yet. Today, Rosetta will deploy a small probe that, if successful, will land on the comet — the first time we’ve ever landed on the surface of a comet (intentionally). ESAThis image of comet 67P/Churyumov-Gerasimenko was taken on Aug. 11 using one of the 8-meter telescopes of ESO’s Very Large Telescope (VLT) in Chile. 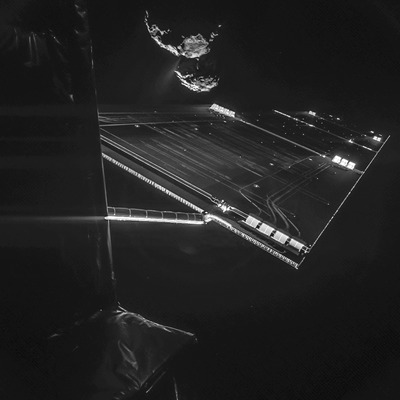 But as soon as Rosetta rendezvoused with the space rock last August, it started snapping pictures of the comet, unveiling for the first time the ominously alien, mountainous world, the likes of which humans have never seen before. ESAThe animation below depicts the comet as Rosetta approached it during a one-week period in August 2014. 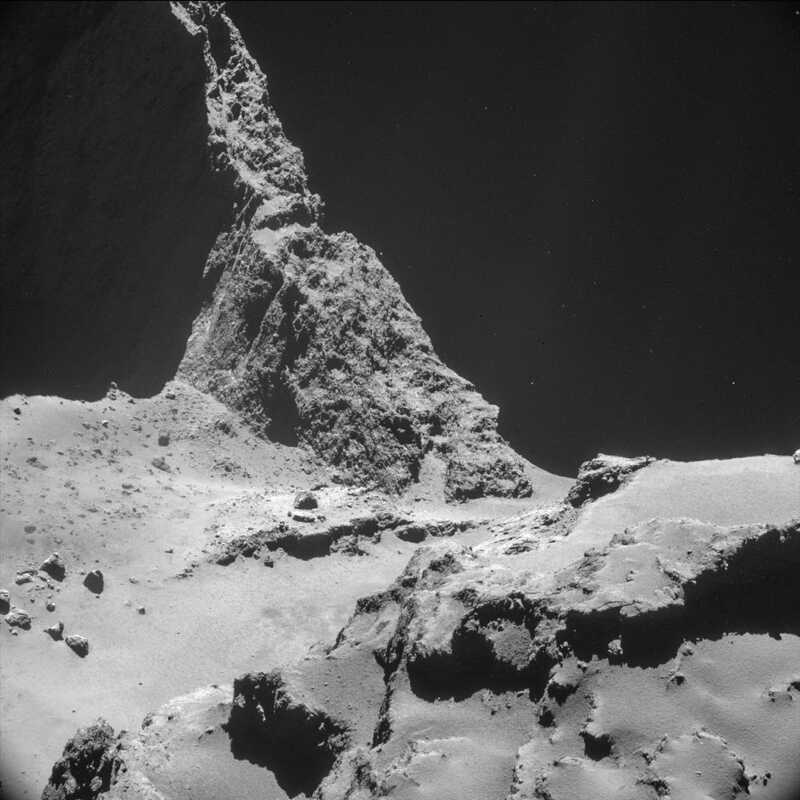 Here you can see part of the Rosetta space craft with the dumbbell-shaped comet in the background. Since August, Rosetta has lowered its orbit and begun preparations to deploy its tiny lander inside, named Philae. While the images Rosetta took 38 miles from the comet were pretty incredible, the sites Rosetta sent back earlier this week are mind blowing. To get ready for dispatching Philae this morning, Rosetta has taken a complex orbital path around the comet that has brought it amazingly close to the comet’s surface — less than 7 miles above. Here’s a selfie the comet took when it was only 10 miles away. You can see the space rock’s dumbbell shape in incredible detail as well as a jet of gas it’s spewing into space. ESA/Rosetta/Philae/CIVARosetta takes a selfie with its target comet in the background. This image of the neck region, between the two dumbbells, was taken by Rosetta just 6.2 miles from the surface — you can clearly see the jagged cliffs and rocky, uneven surface. 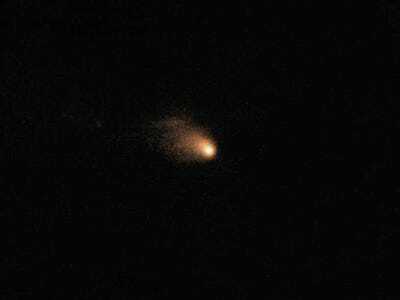 ESA/Rosetta/ NAVCAMNeck region of the comet. 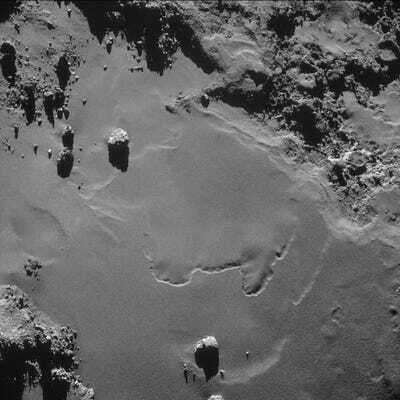 Here’s another amazing image, taken from 6.2 miles away and released yesterday, showing the different boulders and irregular surface of a comet. This image shows the larger dumbbell lobe in the background and the smaller one in the foreground. Scientists were surprised they found no traces of water ice on the comet’s black-as-coal surface. The comet only looks grey because of the intense blackness of space behind it. ESA/Rosetta/ NAVCAMThis view looks from the smaller of Comet 67P/Churyumov — Gerasimenko’s two lobes (foreground in lower left) over to the larger lobe, which occupies most of the frame and which is dominated by rubble-filled depressions. Two other surprises were the comet’s stinky smell and this odd, lonely boulder scientists observed on the comet’s surface. The rock is named Cheops and is the large, bright boulder in the top left of this image. This image was also taken 6.2 miles above the surface and was released yesterday. 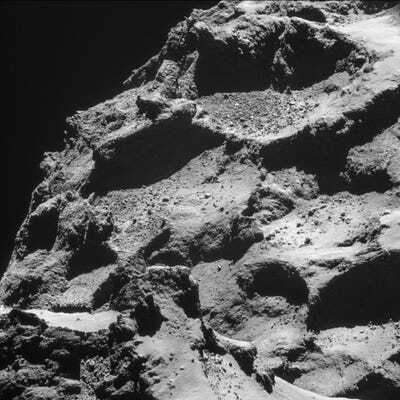 ESA/Rosetta/NAVCAMThis scene features the boulder named Cheops, the largest and brightest boulder towards the top left of the image. Earlier this month, ESA scientists dubbed the spot where the Philae lander would attempt to touch down “Agilkia” — named for Agilkia Island, an island in the Nile River. 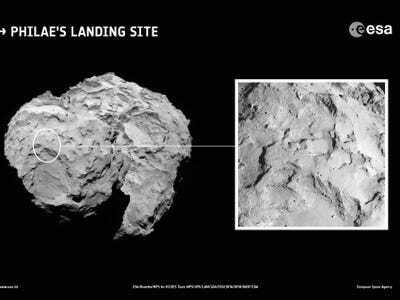 The spot is located on the head of the comet and was selected among five final candidate landing locations. 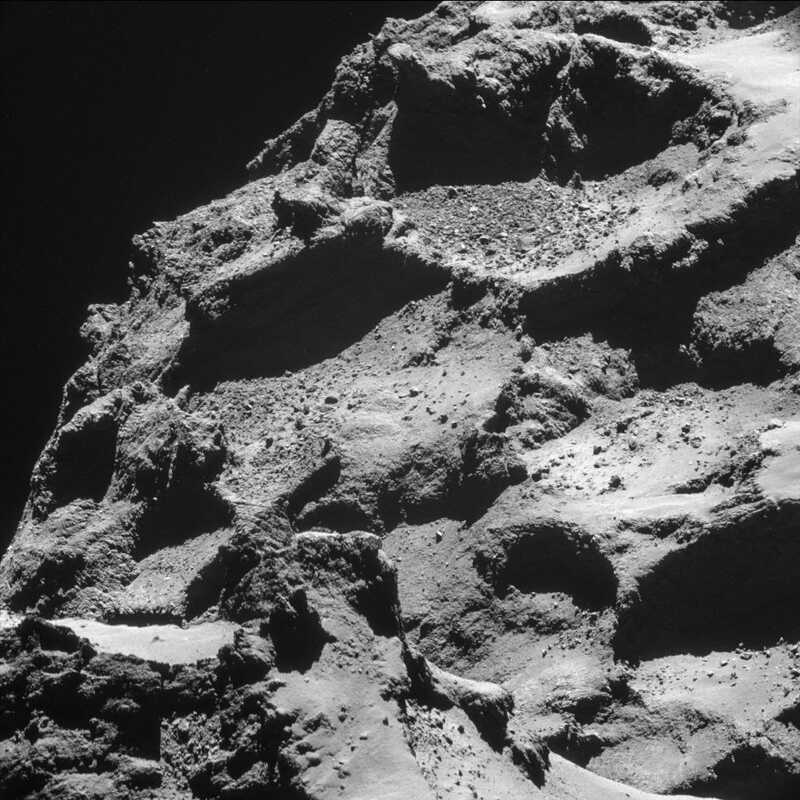 The backup site for Philae will be “Site C,” located on the body of the comet. Site J, however, offers minimum risk to the lander compared with other candidate sites.